Have you ever heard, or tried Japanese sake ? It is an alcoholic beverage made from rice. Sake is preferred and brewed all around the country, however, the taste varies by locations, for which sake is inseparable from local foods. 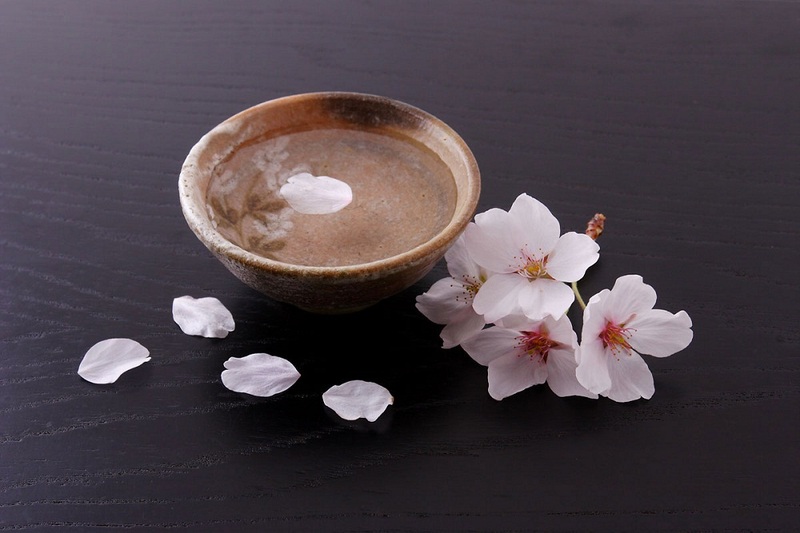 It is said that brewers can tell what type of sake is preferred in the particular area by testing the soy sauce, which is a Japanese sauce made from soy beans, preferred there. In Shimane, soy sauce with a rich taste is preferred to a bland one, and the same thing can be said for sake. Though each ingredient affects the taste of sake, the brewer’s skill, clear water and richness in nature to breed rice are also essential and you can find all of them in Shimane. 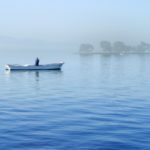 Deep connections between Japanese Sake and Shimane. 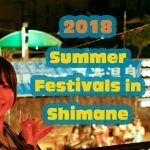 Furthermore, Shimane can be considered to be the birthplace of sake for its long and important history, which dates back to the time of mythology. 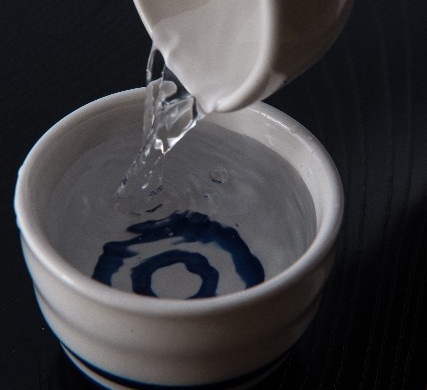 Myths and records remain to tell us the deep connections between Shimane and sake. For example, Saka Shrine in the Izumo region enshrines a deity of sake brewery. The annual gathering of all of the deities of Japan so that they may hold meetings in Izumo is a widely known part of the folklore. After the meetings, most of the deities went back to their enshrined places, but some deities found sake so delicious that they stayed there and enjoyed sake for another six months. The place where they stayed and drank sake is believed to be the origin of Saka Shrine. The shrine is one of the very rare shrines where is allowed to brewer sake. In October, one month ahead to the brewing season, an important ritual takes place at Saka Shrine and people related to sake brewery pay a visit hoping they can make good sake for the upcoming season. Evidence of sake appears in a famous Japanese myth. Deep in the mountains and upper river of the Izumo region, there lived an evil mythical creature. It was an eight-headed serpent with eight tails and deep red eyes that preyed upon young ladies. Susano-o, a heroic deity, came to slay the creature in order to save a beautiful lady to be sacrificed. He had prepared a specially brewed sake in hopes that the serpent would drink from it. It was strong and tempting enough to make the monster drunk. He waited for all of the monster’s heads to get drunk, and then he successfully destroyed it. This story hints to the existence of an advanced brewing technique in ancient Shimane. 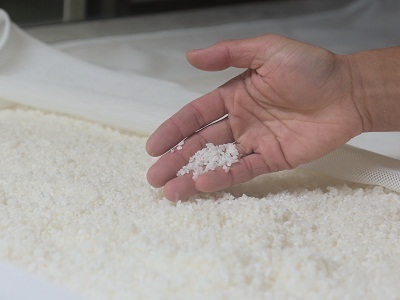 Rice, water, koji (rice malt), and Shubo (yeast) are all they need to produce Japanese sake. Though each ingredient affects the taste of sake, the brewer’s skill, clear water and richness in nature to breed rice are also essential and you can find all of them in Shimane. The main ingredient rice, which Japanese people eat as a staple diet, is usually polished to remove about 9 % of the surface of the grain for the taste. Some eat it without polishing the rice because outer layer of the grain is rich in protein, fat, vitamins though. However, the rice suitable for making sake is different from rice that Japanese people eat as staple diet. They are called brewer’s rice, which are bigger in size and contain less protein and fat. Though these are the kinds of nutrients that have a pleasant taste we eat them, having too much of them turns into a bitter and unpleasant flavor in sake. Also, bigger grains are generally harder to break when they are polished. Since the inner layer of a grain of rice has higher concentration of starch, 30 %~65 % of the outer layer, which is rich in protein, is polished off. Generally, the more they polish, the more valuable it becomes for sake. In the process of making sake, two microbial reactions are happening at once. 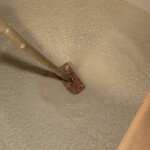 Rice malt breaks down the starch in rice into sugar, and the yeast breaks the sugar into alcohol. 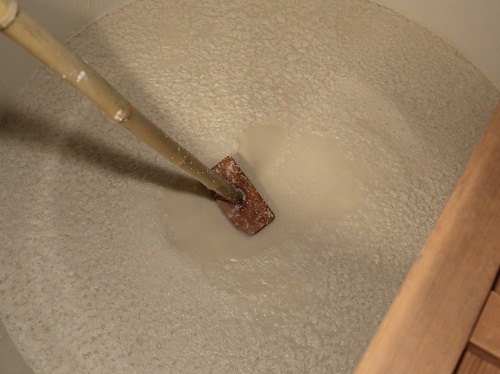 The fermenting process occurs inside the tanks and it takes about two months to complete the sake-making process. 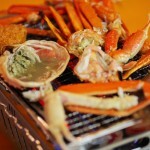 The season of snow crab has just come!